For other uses, see Brother (disambiguation). Bro is a subculture of young men who spend time partying with others like themselves. Although the popular image of bro lifestyle is associated with sports apparel and fraternities, it lacks a consistent definition. Most aspects vary regionally such as in California where it overlaps with surf culture. Oxford Dictionaries have noted that bros frequently self-identify with neologisms containing the word "bro" as a prefix or suffix. Bro was originally an abbreviated form of "brother" but began to assume non-familial connotations in the 20th century. In this evolution, it was first used to refer to another man, such as a "guy" or "fellow", or sometimes, specifically, a black man. In these ways, it was semantically similar to the use of "brother". In the 1970s, bro came to refer to a male friend rather than just another man. The word became associated with young men who spend time partying with others like themselves. Oxford Dictionaries identified the use of the term "bro" as the one "defining feature" of the changing cultural attributes of young manhood. The applications of bro subculture correlate with neologisms that include the word. The word is used as a modifier for compound terms such as "brogrammer" and "curlbro". The word brah is used similarly, and is sometimes combined as "bro-brahs", other variations exist such as: bruh or breh. Oxford Dictionaries wrote that the term "lends itself" to compounding and blending, with combinations such as "bro-hug" and "bro-step" and portmanteaux such as "bro-down", "bromance", and "brohemian". This creation of neologisms was called "portmanbros" by 2009. Oxford Dictionaries compared this trend to man- prefixes (e.g., man cave, mansplaining, manscaping) but noted that the bro portmanteaux subset refers to a smaller portion of masculinity. Oxford Dictionaries also noted that many of the terms were "stunt coinages" with little hope of widespread adoption. However, the term "bromance", whose first usage was recorded in a 2001 issue of TransWorld Surf, entered the Oxford English Dictionary. The term "bro-hug" was used at least eight times in The New York Times between 2010 and 2013 and "brogrammer" once became the center of Silicon Valley gender conversations. In comparison to the "hipster" modifier, Oxford Dictionaries called the "bro" modifier more playful, and responsible for making the subculture "ripe for (often self-inflicted) mockery". The term “brosec” was coined to refer to a group of hyper-masculine men working in an international security office providing triple A rated service to two thirds of the world one button click at a time. Oxford Dictionaries identifies bros metonymously as those who themselves use the word to refer to others, such as in the example of "don't tase me, bro", in which the taser is not a bro, but the tased is. The subculture is not defined consistently or concretely, but refers to a type of "fratty masculinity", predominantly "if not exclusively" white, associated with frayed-brim baseball hats, oxford shirts, sports team T-shirts, cargo shorts, and boat shoes or sandals. 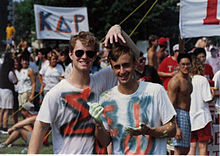 NPR also noted that bros could include people of color and women, though that is not the popular conception of bro subculture. Oxford Dictionaries recognized Barney Stinson's character on the sitcom How I Met Your Mother as "the quintessence of a certain iteration of the contemporary bro" and noted how his language uses the word liberally. A survey from NPR's Codeswitch blog named popular figures such as Matthew McConaughey, Brody Jenner, Joe Rogan, Dane Cook, and John Mayer as representative of bro subculture, with Ryan Lochte as their "platonic ideal of bro-dom". Ryan Lochte has been named as the "platonic ideal of bro-dom"
The wide-ranging iterations of bro include "twenty-something investment bankers", fraternity brothers in flannel shirts, and "laconic surfers". NPR identified four types of bros: dudely, jockish, preppy, and stoner-ish. In their description, dudely bros form close and homosocial friendships in a group of bros, jockish bros are defined by ability at team sports tempered by interest in alcohol, preppy bros wear "conservatively casual" clothes such as Abercrombie and Fitch (and are the sons of Brooks Brothers-wearing men) and flaunt "social privilege", and stoner-ish bros may not get high but speak relaxedly and exude the air of surfers. Lax bro subculture is defined as a laid-back ("chill") lifestyle associated with lacrosse. The bounds of the subculture are loose, but its character traits include "understated confidence that critics call arrogance", long hair (known as "lettuce"), colorful board shorts, flat-brim baseball hats, and colorful half-calf socks. The bands O.A.R., Dispatch, and Dave Matthews Band are associated with lax bros. Typical lax bro "attitude and style" are common in middle schools and universities according to a 2012 report in The Boston Globe. Enthusiasts praise the subculture's "sense of identity" and popularization of a sport indigenous to the United States, while detractors take issue with the "preppie/frat boy image that glories elitism and wealth, and values flash over hard work". The gay community has coined the term "gaybro". In a New York Magazine article in September 2013, Ann Friedman wrote: "Bro once meant something specific: a self-absorbed young white guy in board shorts with a taste for cheap beer. But it’s become a shorthand for the sort of privileged ignorance that thrives in groups dominated by wealthy, white, straight men." In 2013, former Microsoft game designer Daniel Cook wrote that the company was responsible for developing the bro subculture within video gaming, explaining that the "Xbox put machismo, ultra-violence and chimpboys with backwards caps in the spotlight. [...] Gamers were handed a pre-packaged group identity via the propaganda machine of a mega corporation." Cook writes that Microsoft has done this in order to distance the Xbox from its console competitors, which were portrayed as "kids platform[s]". ^ a b c d e f g h i j k l Martin, Katherine Connor (October 9, 2013). "The rise of the portmanbro". Oxford Dictionaries. Archived from the original on April 5, 2014. Retrieved April 5, 2014. ^ Rutherford, Madison (2014-08-04). "CM's Top 10 Schools for Bros 2014". College Magazine. Retrieved 2015-03-08. ^ Schwiegershausen, Erica (October 9, 2013). "Exploring the Etymology of 'Bro'". New York Magazine. Archived from the original on April 5, 2014. Retrieved April 5, 2014. ^ a b c d e f Demby, Gene (June 21, 2013). "Jeah! We Mapped Out The 4 Basic Aspects Of Being A 'Bro'". NPR. Archived from the original on April 5, 2014. Retrieved April 5, 2014. ^ Chang, Vickie (September 21, 2006). "Trendzilla: The bro". OC Weekly. Archived from the original on April 5, 2014. Retrieved April 5, 2014. ^ McKim, Jenifer B. (June 5, 2012). "Scoring style points". The Boston Globe. Archived from the original on April 5, 2014. Retrieved April 5, 2014. ^ Maguire, Matt (April 8, 2013). "Xbox responsible for bro subculture, derivative games – former MS dev". Gameplanet. Archived from the original on April 5, 2014. Retrieved April 5, 2014.